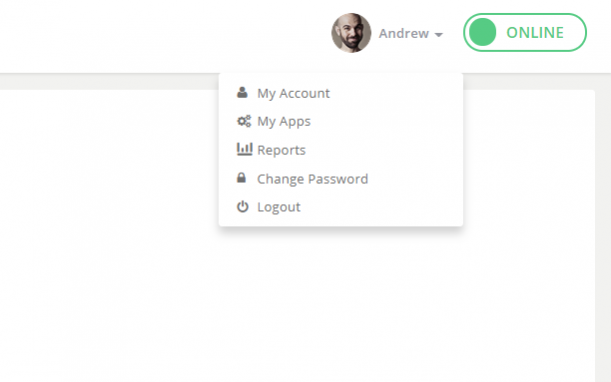 With our recent upgrade, we have simplified the layout for your account as we continue to add new functionality to the Formilla platform. As you’ve probably noticed, this has caused us to move around certain menu items. This blog post will highlight what changes have been made and where everything is now located. Inbox – Now found under Contacts and renamed to Conversation History. Smart Messages – Previously under Contacts, gets a whole new section for itself. Settings – Complete new section. Most of the previous features have been consolidated in this menu item. Widgets (or Customize for Wix app users) and My Apps – No longer on the left hand menu, now found under Settings. Reports – No longer on the left hand menu, now under the agent avatar dropdown menu (top-right corner). 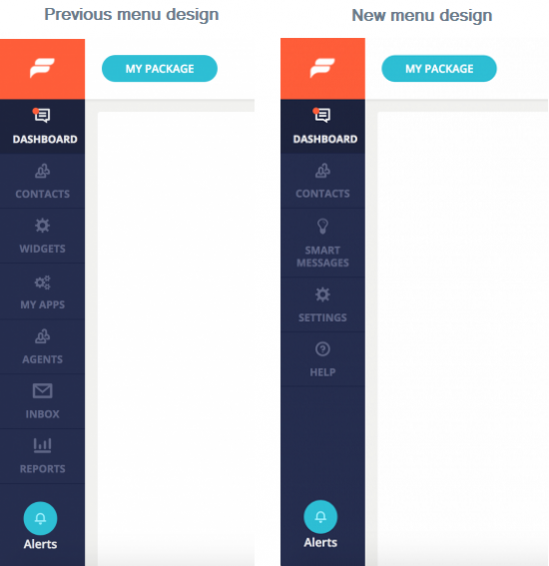 Dashboard – No changes have taken place. The layout is the same as before. 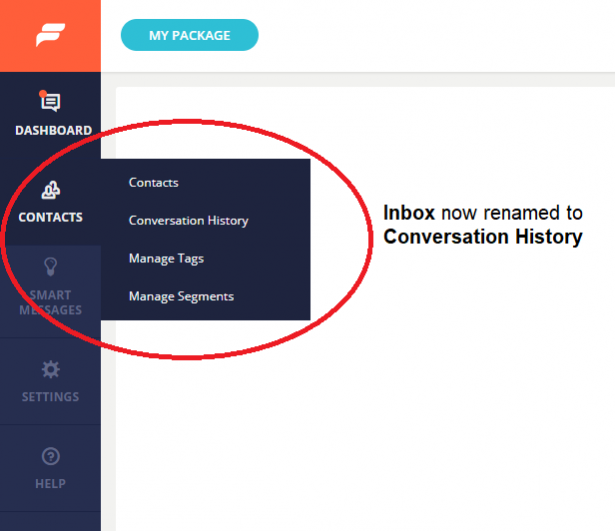 Conversation History: previously called the Inbox or Customer Inbox. Manage Tags: stayed the same. Manage Segments: stayed the same. Smart Messages – Gets a new section for itself. Same as before, here you’ll find all your Chat and In-App smart messages. Also, from here you’ll be able to create Email Messages (new Edge Premium feature). General Settings: this is the My Account section previously, and also still remains under the agent avatar drop-down menu. Widgets (or Customize for Wix app users): same Widgets/Customize section from left hand menu in previous version. Same as before, you can manage your live chat widget(s) from here. Users: this is the previous Agents section renamed to Users now. Installation: new page where you’ll find your Plugin/Chat ID and the snippet code for your account. This was previously under the widget setup page and now we gave it a new location to make it stand out more. My Apps: similar to previous version where you’ll find our apps for mobile, Windows desktop and the ability to integrate with third-party services. Canned Messages and Banned Visitors: both menus were under the agent avatar drop-down before and now we’ve moved them under Settings. Custom Email Domains: new page where you can add and verify your business domain if you’re interested in using our email messaging platform (Edge Premium feature). The Reports and My Apps sections that were located on the old left menu, are now in this area. The Banned Visitors and Canned Messages menus were removed from here and were relocated under the new Settings menu on left hand. That’s it! Hopefully not too much of a learning curve 🙂 If you have any trouble finding what you’re looking for, just reach out and we’ll get you squared away!